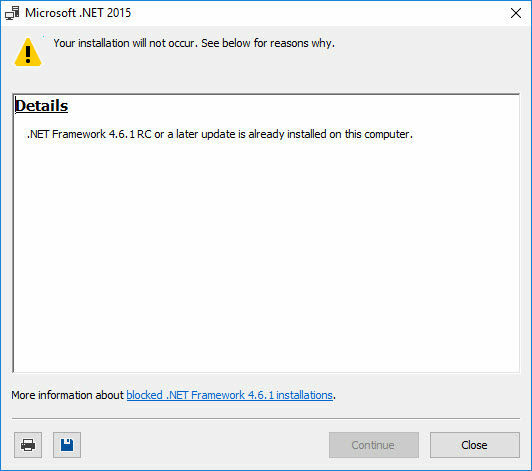 .NET Framework 4.6.1 has been released by Microsoft recently and is available for download and installation. This release includes more than 150 bug fixes and some new features have also been included in the update. The core of this framework remains the same as of .NET Framework 4.6 release. Let’s go through some of the new features and enhancements included in this release of .NET Framework and then head towards the direct download links to 4.6.1 offline installers. The WPF has been improved with enhancements in spell check, support for per user custom dictionaries and improved touch performance as it becomes more and more integrated into Windows 10. You can read more about WPF improvements on the WPF team blog. Enhanced support for Elliptic Curve Digital Signature Algorithm (ECDSA) X509 certificates. ECDSA certificates are smaller than the traditional RSA keys resulting in better performance. There has been some improvement to how SQL connectivity works. Support for AlwaysOn and AlwaysEncrypted functionality for SQL connectivity has been added. You can read more about this from MSDN library here and here. While Microsoft recommends its users to install .NET Framework using the web installer, it can be installed using the full standalone installer. Both installers are free and work fine. I’m giving the download links of both the installers. This package is compatible with Windows Vista SP2, Windows 7 SP1, Windows 8, Windows 8.1, Windows 10, Windows Server 2008 SP2 Windows Server 2008 R2 SP1, Windows Server 2012 and Windows Server 2012 R2. You can also go through the .NET Framework 4.6.1 readme file for more details about the issues still present this release. If you are using Windows 10 with fast updates enabled, then there is no need to install this update as most probably, this update has already been installed in your system automatically by Windows Update. Just to say Hi , and thanks a lot for your support and help. The webpage at https://download.microsoft.com/download/4/6/7/467238EF-C195-413B-B34F-9EC1ECA7FA85/NDP461-KB3088518-x86-x64-AllOS-ENU.exe might be temporarily down or it may have moved permanently to a new web address.